One of the most recognizable stars from the big screen will make a rare appearance before news cameras on Tuesday to talk about a crime that is costing his fans big money. Mark Hamill, known for his role as Luke Skywalker in the "Star Wars" film series, sat down with the NBC4 I-Team at his Malibu home to give us an inside look at who is profiting off his fame, before the announcement. After watching Hamill take on the Dark Side in four blockbuster sequels and prequels, fans are willing to pay hundreds of dollars for his autograph. Hamill says there's just one problem: many of the autographed memorabilia pieces on the market do not bear his real signature, leaving fans with worthless fakes. "I've heard a couple of stories that just break your heart because there's no way to compensate them," Hamill told NBC4. "A couple of people I've actually sought out and sent real autographs after hearing how extreme their circumstances were." The growing market for fake autographs has enraged Hamill so much that he spends much of his free time on Twitter, authenticating his signature for fans. "Star Wars" actor Mark Hamill discusses his affection for fans and what he’s doing to protect them from fake autographs. "I feel protective of them because of how much support they've given us throughout the years. 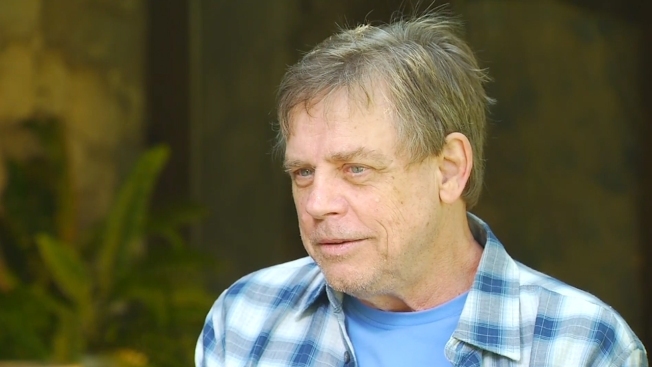 Because really, if it weren't for the fans, I wouldn't even be sitting here," Hamill said. When asked how many autographs he's looked at on Twitter for fans, he responded, "Oh, hundreds...maybe even 1,000 by now." The I-Team looked through online listings of Hamill's autographs on various photos, some going for hundreds of dollars. Hamill showed us many fakes and also pointed out others that were real. On Tuesday, Hamill will appear at a press conference to talk about a new law he's been lobbying for: Starting Jan. 1, any autographed collectible sold in California must come with a certificate of authenticity. A civil court could reward duped customers as much as 10 times the original cost of the faked item. Until now, only sports memorabilia collectors had that protection. The legislation, AB-1570, was introduced by Assemblywoman Ling Ling Chang (R-Diamond Bar). The desire for celebrity autographs lures hundreds of thousands of fans to events like Comic-Con and The Hollywood Show every year, where they hand over cash for selfies and signatures. "When you take a piece of something that they've signed, it's like a part of them almost, because they touched it, and took time out of their day," said Videlia Marandola, a fan at the event. While the crowd at that event can be sure what they're getting is real, buyers who purchase from online auction sites or dealers, can't. Actor Alan Thicke, making his first appearance at The Hollywood Show, told the I-Team, "You hate to think that anyone who thinks they've connected to you is getting ripped off." Autograph Magazine tells the I-Team as many as 80 percent of celebrity autographs now on the market may be forged, creating a counterfeiting industry the FBI has estimated to be worth $900 million a year.